Apple iOS 12 new features: How to download new effects for Animoji, camera, and AR: Like you, all may know that Apple has released the iOS 12 out of the beta version. We are sure that you all are going to love the latest version of the iOS 12 and it is going to make you all go wild for sure. The latest iteration of Apple’s mobile is operating system comes with a wide range of new features. Now, if you are struggling to download the Apple iOS 12 latest version’s features and other updates then you are on a very right page. 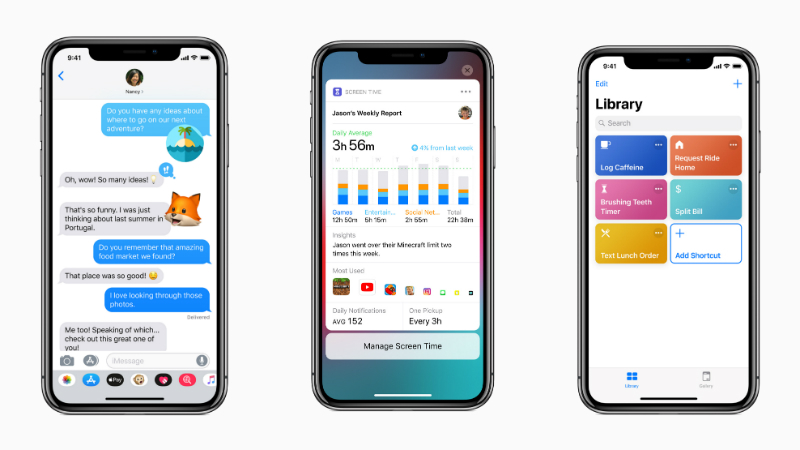 You all should understand that along with new user interface, the company is pointing towards the iOS 12 update aims to improve overall software performance on the iPhones and they are really pointing handling the older models like iPhone 6S. The company is super in love with the updates and you all can learn the new updates. Apple’s iOS 12 has rolled out to all the smartphones and tablets running on iOS 11. Still if you are looking that your Apple device supports the iOS 12 update then you all should know that these iPhones including the older iPhone X, iPhone 8, iPhone 8 Plus, iPhone 7, iPhone 7 Plus, iPhone 6s, iPhone 6s Plus, iPhone 6, iPhone 6 Plus, iPhone SE, iPhone 5s are capable for the updates. The new iPhone XR, iPhone XS, and iPhone XS Max run the latest iOS software out-of-the-box. You all should know that this new update is going to make you all amazed for sure. You all should know that Apple has various new updates along with iOS 12. Reports are coming that you all can download the new updates and along with it everything will come eventually. Also, the company has rolled out a new Memoji, a customizable version of Animoji. The company has also rolled out new Animoji characters like T.rex, ghost, koala, and tiger. Also, you all can see the new Camera, and text effects as well. Also, Siri has received a few important updates. Also, you all should know that Apple’s native photo application is getting smarter with the latest iOS 12 update. The app now suggests searches to make it easier for users to discover older photos through keywords like business names, moments and places. Also, you all should know that the Apple has rolled out RAW support for editing photos. You all should know that users now have a dashboard where they can monitor how much time they have spent on their device and different applications. Well, if you are looking for the iOS Install and download then we are here to help you. You all should know that to download the update you can wait for Over-the-Air (OTA) update on your phone. Now, go to Settings > General > Software update. The phone will check for the update and notify you to download and install.